When I was given the opportunity to review this book, I didn’t merely sign up for it, I begged for the chance. Partly, of course, it’s because a lot of my writing lately is focusing on ghosts, but also it’s because the subject fascinates me. 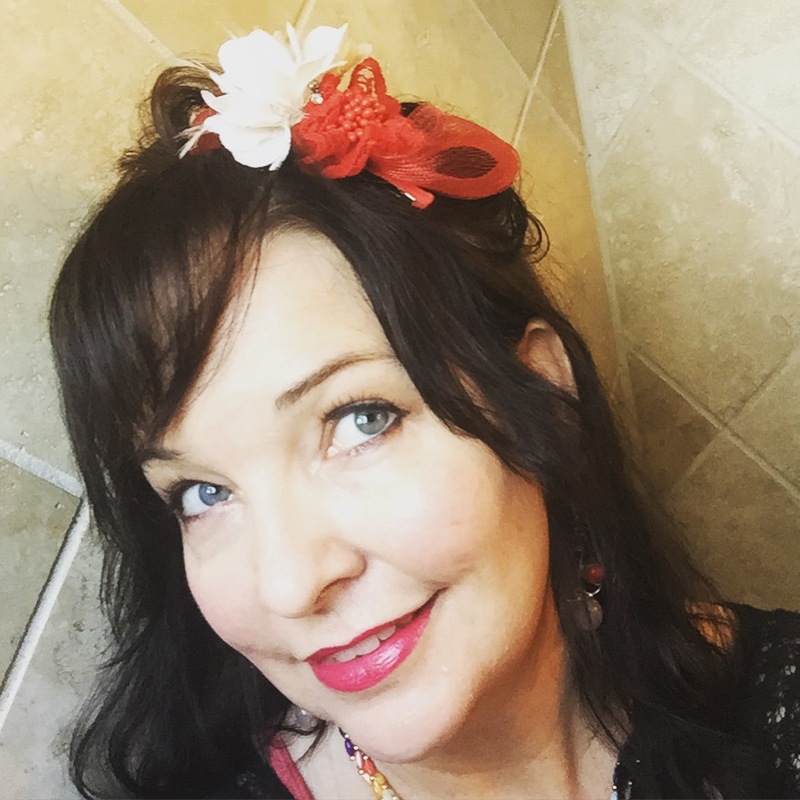 Maybe it’s because we don’t bury our dead in my family – we have them cremated and scatter the ashes somewhere meaningful – or maybe I’ve just read too many gothic novels with confrontations in family crypts, but graveyards have always intrigued me. In fact, one of the only things I remember from a clever gardening book I read several years ago, is that graveyard roses are the hardiest plants if you want to grow roses from a cutting. 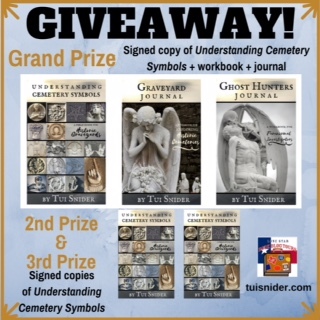 Tui Snider’s book does not cover the best ways to filch roses from the dead, but it is a lot more than just a glossary of symbols commonly found on headstones. Of course, it also explains the symbols the title references, but it does so in a way that is never dry or dull. Author Snider’s warm, witty style of writing feels more like a conversation with a friend than any kind of book, and I found myself both impressed with her research and eager to field-test her data. 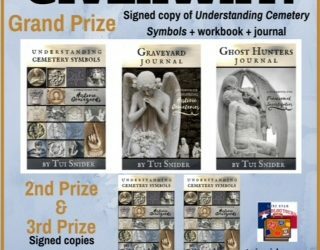 Speaking of field-testing, my review copy also came with copies of Ms. Snider’s Graveyard Journal, for tracking the different graves you visit and what symbols are present, and her Ghost Hunter’s Journal, for those of us who have more than a passing fancy for the supernatural. Both of these supplementary books are well-designed, and now that the weather in Texas is cooling off I’m excited about doing some judicious exploration. 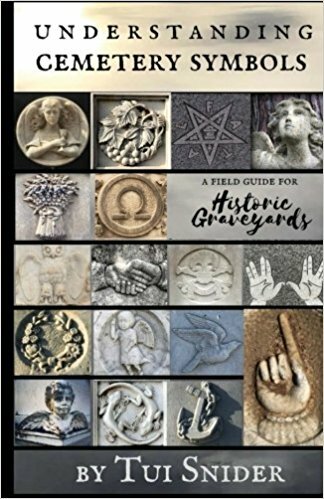 Understanding Cemetery Symbols is an interesting read even if you never plan to go tromping around old churchyards, but it’s indispensable if you do feel the urge to explore, and the two journals will only enhance your experience. Goes well with tuna sandwiches and sweet tea, enjoyed on a picnic blanket in the middle of a cemetery.